If there's one thing I've learnt over the years, it's that Square Enix president Yosuke Matsuda doesn't talk the talk without walking the walk. Here's an example: back in May 2013, just prior to him taking over the company from former president Yoichi Wada, Matsuda said to investors that one of Square's greatest challenges was that the sell-through of big-budget games like Tomb Raider, Hitman Absolution, and Sleeping Dogs was slowing down too quickly. You may recall the time Tomb Raider shipped 3.4 million units in its first month, but Square Enix reported that the game had under-performed alongside both Hitman Absolution (3.6 million shipped) and Sleeping Dogs (1.75 million shipped). Industry enthusiasts at the time felt the problem was simply that Square had unrealistic expectations, but there was actually more to that story. While the plan was for these games to have a long tail, Matsuda said that stiff competition from other titles on the market had caused a "critical increase in advertisement spend" to move initial shipments. This had led to Square Enix incurring even greater costs on top of the resources to develop those games. This, in Matsuda's opinion, was part of a larger issue with how big-budget games were developed in general. One could spend years and immense resources working on a AAA game, but you wouldn't see any returns until the game was actually completed and shipped in its entirety. Once it was out in the wild, it would have to compete with a plethora of other titles in a market where consumers were becoming increasingly selective. This made it difficult to guarantee a return on all that investment. "These days, Matsuda has been talking about a different initiative: the need for the company to invest in more AA games"
October 2013: Square Enix announces Square Enix Collective, its own crowdfunding initiative meant to help indie developers create games. The Collective goes on to facilitate the development of games like Goetia, Tokyo Dark and many more, and is still active today. August 2014: Square Enix announces Life is Strange, an adventure game developed by Dontnod Entertainment. Due to financial restrictions faced by Dontnod at the time, Life is Strange would be an episodic game, with each episode's release bringing in revenue as the studio began work on the next. June 2015: Square Enix announces it is remaking Final Fantasy VII at E3. Later that same year, the company reveals that the project will be a "multi-part" story, broken up into multiple games. These days, Matsuda has been talking about a different initiative at Square: the need for the company to invest in more "AA" games, which don't take upwards of five years and several millions of dollars apiece to develop. Games that increase the company's yearly output and speak to its most ardent fans. During a financial results briefing in November 2017, Matsuda was asked for his opinion on the Nintendo Switch, which had released earlier in the year. He replied, "Nintendo Switch is seeing rapid uptake, and we welcome the arrival of such a platform. We intend to be proactive in our development efforts given that it's a platform that is well suited to the mid-sized titles at which we excel." The acknowledgement had been a long time coming -- Square Enix has generally been most interesting when working on smaller, less extravagant productions than huge AAA games. It's also a line of thinking similar to Matsuda's earlier comments about creating products that don't break you financially in the process of making them. Developing a broad range of mid-sized titles was the company's greatest strength during its turbulent Final Fantasy XIII years. The rocky development of that game was somewhat masked by its incredible output on Nintendo DS and Sony PSP, and a number of those titles actually sold rather well globally, keeping Square relatively healthy despite the many issues plaguing it. For instance, the remake of Final Fantasy III on Nintendo DS sold 1.93 million units in its first two years. Final Fantasy IV DS sold 1.1 million in its first year. Meanwhile, Crisis Core: Final Fantasy VII on the PSP sold 2.1 million units, while Kingdom Hearts: Birth by Sleep sold over 1.27 million units. These games were developed on a fraction of the time and budget that went towards Final Fantasy XIII. And that's just the tip of the iceberg. Other DS and PSP games like The World Ends With You, Dissidia Final Fantasy, Final Fantasy Crystal Chronicles: Ring of Fates, and The 3rd Birthday were all great products in their own right, and contributed to Square's status as one of the most powerful publishers on those platforms. Again, each of these games was developed on a much more modest budget and schedule than the tentpole projects, and most of them were received well, keeping the Square Enix brand relevant during a period when Final Fantasy XIII was navigating treacherous waters. Then, the smartphone boom happened. "By 2011, Square Enix knew it was in trouble. Final Fantasy XIII was not considered worth the wait"
By 2011, Square Enix knew it was in trouble. Final Fantasy XIII, which had taken nearly six years to develop, was not considered worth the wait. Meanwhile, Final Fantasy XIV, an MMO meant to provide Square Enix with a consistent revenue stream, had turned out to be an even bigger disaster -- development on that game would shortly be restarted from scratch. In the midst all this, Final Fantasy Versus XIII and a number of other games would have to be delayed or stalled while the company scrambled to course-correct. Final Fantasy as a brand had, as then-president Yoichi Wada put it, "been greatly damaged". The development of Square's "AA" titles had more or less dried up, too, owing to the fact that a lot of the company's resources were going towards its many troubled Final Fantasy projects. During this period, Square Enix was instead laser-focused on delivering a constant string of microtransaction driven smartphone games, relying on them to bring in revenue while resources were continually poured into the troubled development cycles of various console efforts, all of which had been positioned to compete with the industry's biggest hits. Thus, the entirety of the Nintendo 3DS generation went by with relatively little support from Square, even though the device was essentially the perfect platform for a Japanese publisher that excelled at mid-sized, AA games. An industry-wide narrative predicting the death of portable video game platforms at the hand of smartphones didn't help matters, either. 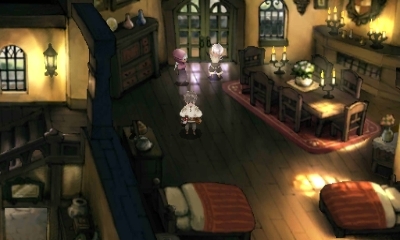 There's even a famous story about how Bravely Default -- considered by many a return to form for Square after a long string of controversial, often underwhelming games -- had come to be localised. It wasn't Square that pushed for Bravely Default to be released globally, but Nintendo. "With Bravely Default, we really thought it'd just be for Japanese people," producer Tomoya Asano revealed to Eurogamer in an interview. "But when it was released, Nintendo got in touch and said many players outside of Japan would like to play the game. So what could we do? Together we released a game, even though at first we had no intention of selling it outside of Japan." Following its western release, Bravely Default went on to sell over 1 million units worldwide. Soon after the game's success, Yosuke Matsuda (who was now president) and the rest of Square Enix found themselves re-evaluating audience expectations. Speaking with Japanese publication Nikkei Trendy in 2014, Matsuda acknowledged the fact that Square had maybe lost sight of what fans of its games wanted from it. "Due to having split [our development mindset] according to regions around the world, we weren't able to see this clearly up until now, but fans of JRPGs are really spread around the world," he stated. "Through the means of various networks, the latest information that is announced in Japan is instantaneously spread across fans throughout the world. Whether it's North America, Europe, or South America, there really isn't much of a gap [in the relay of information]. "With that in mind, and all of the collective fans, there's a sense of mass, which loses the image of a niche market. For the new games we'll be developing from this point on, while this may sound a bit extreme, we've been talking about creating them as heavy JRPGs. I believe that way, we can better focus on our target, which will also bring better results." January 2014: Square Enix and Platinum Games begin work on action-RPG Nier Automata, in collaboration with Nier creator Yoko Taro. Released in 2017, it goes on to sell over 3 million units. December 2014: Square Enix announces a new SaGa game -- the first in several years -- for PlayStation Vita. SaGa: Scarlet Grace is well received in Japan, and a port for Nintendo Switch and PlayStation 4 is released in August 2018. An English localisation for the game is subsequently announced. "Nier Automata and Octopath Traveler have led to renewed faith in the company's ability to tell interesting, mature stories"
January 2015: Square Enix releases Bravely Second, a 3DS sequel to Bravely Default, and the game is localised for Western audiences less than a year later. It goes on to sell over 700,000 units worldwide. June 2015: Square Enix announces that it has established a new development studio, Tokyo RPG Factory, to facilitate the development of games that will bring back the "golden age of JRPGs". The studio's first mid-sized project, I Am Setsuna, releases a year later to lukewarm reviews, but is still successful. January 2017: Square Enix and Nintendo announce Octopath Traveler, a PS1-era throwback, for the Nintendo Switch. The game is released a year later, and goes on to sell over 1 million units in less than six months. February 2017: Square Enix establishes Studio Istolia, a studio aimed at creating new IP. The studio head is announced to be Hideo Baba, former producer of Bandai Namco's Tales Of series of JRPGs. April 2017: Takashi Tokita, the director of Parasite Eve and co-director of Chrono Trigger, teases the start of a "top-secret" project for Nintendo Switch. In Feb 2019, this game is revealed as Oninaki, a new action-RPG for the Switch and PS4 developed by Tokyo RPG Factory, with Tokita as its creative producer. Each of these titles has helped Square Enix maintain an ongoing stream of releases and revenue in between its more complex projects. Nier Automata and Octopath Traveler, in particular, have led to renewed faith in the company's ability to tell interesting, mature stories that resonate with longtime RPG fans. Meanwhile, somewhat tellingly, it has been business as usual for Square Enix's bigger games. Final Fantasy XV had most of its DLC cancelled, and its director has left the company. The long-awaited remake of Final Fantasy VII has had development shifted away from its original developer CyberConnect2 to an internal team at Square, a full two years after its announcement. Meanwhile, games like the recently released Just Cause 4 and Shadow of the Tomb Raider have failed to prevent a decline in profits due to "increased amortization of game development cost [and] advertising spending". Sounds familiar, doesn't it? It isn't surprising, then, that Matsuda has been doubling down on his comments regarding the importance of mid-sized games, particularly for the Nintendo Switch, which is home to a healthy RPG audience and makes for a fitting environment for mid-sized AA games. "We base our development resource allocations on the unique attributes of each platform," Matsuda said to investors in November 2017. "In particular, Nintendo Switch makes it easier for us to leverage our back catalogue of assets and expertise, so we want to be proactive in creating new IP and rebooting past titles for that platform." "Between Nier Automata, Octopath Traveler, and SaGa Scarlet Grace, it has released some of its most interesting games in the last ten years"
Matsuda moves quickly, and so we've already seen some of these plans come to fruition. Following the release of Octopath Traveler in 2018, Team Asano -- the production group at Square behind Bravely Default and Octopath Traveler -- has been promoted to its own business division within the company. 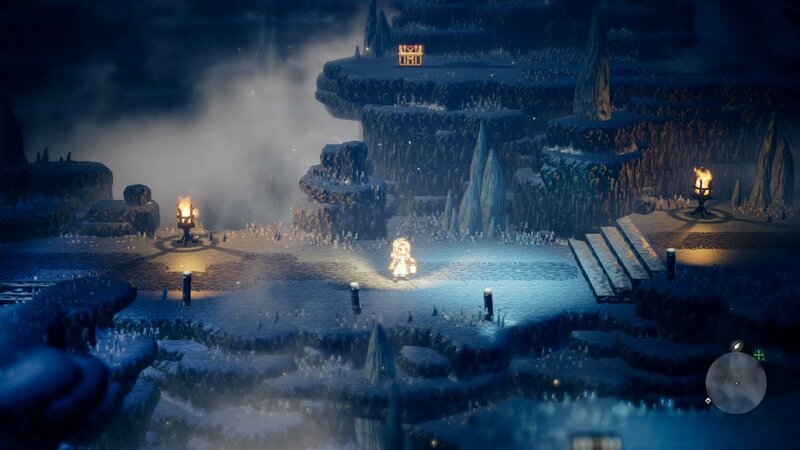 Business Division 11, which has been set up to develop original titles for the Switch, aims to release at least one game a year, with tentpole games like Bravely or Octopath scheduled every three to four years. The team recently expanded to include more staff to bolster its development pipeline. Later in 2018, Square Enix released a Nintendo Switch port of The World Ends With You, with creator Tetsuya Nomura hinting that the remaster was meant to gauge interest in a new title -- Nomura added that he had attempted starting work on a sequel a few times since 2011, but that "time passed without it ever coming to realisation". Following this, Square Enix announced that Final Fantasies VII, IX, X, X-2, and XII are headed to the Nintendo Switch and Xbox One, taking a good chunk of the series multi-platform for the first time. Then, as if on cue, in December, SaGa co-creator Akitoshi Kawazu let on that the next SaGa game is already in development, following the success of SaGa Scarlet Grace. It's an exciting time to be a Square Enix fan, particularly if you lived through the uncomfortable post-DS era where nine out of ten Square games were being announced for smartphones and would often not make it out of Japan. The situation now is far more optimistic. Just between Nier Automata, Octopath Traveler, and SaGa Scarlet Grace, the company has released some of the most interesting games we've seen from it in the last ten years. Best of all, there are more of these sorts of games to look forward to in the months ahead, and you won't have to wait six years in between each. I would imagine it's also an exciting time to be a developer at Square Enix. The company's mid-sized games have been doing well, opening up an opportunity for Square's teams to work on more such titles across a broad range of genres, settings, and gameplay systems. Best of all, these games let you devote yourself to something other than six-year-long marathons like Final Fantasy or throwaway gacha affairs on smartphones. On the whole, there's a greater sense of balance at Square now, and after nearly a decade of trying to find its footing, the company has found its soul instead.